Over the last few weeks I have become addicted to the TV show Shark Tank. What is it that fascinates me so thoroughly that I will switch out of even a thrilling World Series game to tune into one of the mini dramas? I love the energy of the fresh entrepreneurs. Often, they are working out of their homes, perfecting a recipe or constructing what they think is the best back scratcher ever designed. Usually the products are made for consumers. Rarely do I see an industrial product or a sophisticated service. The show is for the masses so most of the products are relatable to by an unsophisticated audience. The products are often unique but to me the fascinating parts of the show are the backstories of the applicants seeking financial backing and the questions by the Sharks. 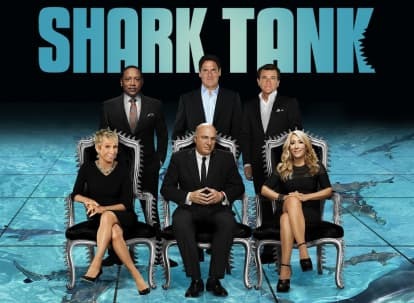 The brilliance of the show to me is the thoughtful interrogation of the new business owners, and ultimately the competition of the Sharks to get in on a deal. I always learn something by watching the show. I’m not starting a new business at the moment, but the rigor of the Sharks forces me to consider my current business practices. I always subconsciously ask myself whether my businesses would merit investment by one of the Sharks or Sharkettes. They always ask about trends. “Is business up and down or are you growing, quarter after quarter, year after year,” they want to know. Kevin O’Leary, Mr. Wonderful, the tough guy you love to hate, grills the contestants in an arrogant way pushing them to come clean about their business history. “You don’t have a business, you have a hobby,” he often says derisively to folks who haven’t made significant progress over the course of their enterprise. He is harsh, but he is usually accurate. He’ll then often say, “you’re wasting our time,” dismissively. The women, usually Lori Greiner and Barbara Corcoron are much kinder but are no soft touch. Mark Cuban, who owns the Dallas Mavericks NBA team, tends to make his mind up very quickly. If he decides a business cannot “scale” meaning grow quickly into a big business he’s “out” immediately. Cuban often asks very early on about the cost of production and selling price. I always find these questions instructive. If the selling price is not at least four times the cost of making the product he has no interest. This is a far cry from the machining world and industrial distribution models I normally see, but the production world has minimal advertising and marketing expense generally. Neverless, I have learned from the Sharks to build my business in the high margin world the Sharks would fund. Banks tend to think like the Sharks. There is no glory in working thin. Google and Facebook live in the 90% profit margin world. Every business person should try to move their business into that territory. A commodity business will never be bankable in the Shark Tank. I attended a business get together of machinery dealers over the past weekend. I queried many of the attendees with the Shark Tank in mind. It was a group of sharp guys (virtually no women) but only one of those I talked to would have had a prayer with the Sharks. No plan, wildly fluctuating profit margins. You want to know the one guy the Sharks would have backed? Sorry, he doesn’t need the money anyway. Question: Do you or your children want to start a business? Shark Tank might be interesting and instructive from a negotiating standpoint, but the business ideas are usually not good in my opinion. The best idea I saw (a while ago) was a belt buckle with a cover that could fold down and hold your beer can, freeing both hands for baiting your fishing hook! As far as young people starting a business, it may sound defeatist but it’s very hard nowadays, harder than ever. Retail is pretty much not an option due to the likes of Amazon. Corporations can borrow at very low interest rates, whereas it’s hard for a small business to even get a loan (which may be a good thing because a lot of small businesses borrow money and then burn through it). Concerning small machine shops, a lot of them are still in business only because they have been in business for many years. The owner hopefully makes a little money, but is biding his time until retirement. I greatly admire the (few) examples of young people starting contract machining shops. I think that generally the successful ones know how to run and fix used machines, and are not saddled with large debt loads from buying new machines. It is still there, but the “window of opportunity” for small businesses is narrowing. This is sad to me, because small business was one of the foundations of our free enterprise system and our society. When our political leaders decided to link our economy with a communist-capitalist hybrid economy (meaning China) one of the negative effects was to move the US further towards a corporation-dominated crony-capitalist economic system. And then there are all the tax, employment, and other regulations that further shift the advantage to large corporations. I have a theory that in business nowadays, you have to be either really big or really small. And I’m not sure about the “really small” part! Thank You, Lloyd. I appreciate all the good work you have done with TMW through the years. Maybe not in machining (startup costs seem prohibitive), but as a youngerish person (36) I feel there are many great opportunities for businesses still. Social media and marketing for smaller businesses is a niche I see a lot of potential in, companion animals and related businesses are booming and expected to grow, and the non-profit sector has a lot of opportunity right now for ambitious hardworking people. I also know a few smart young people killing it in real estate/rental businesses. It’s a new world. One of my shy customers wanted me to pitch his product to the sharks. Turns out Shark Tank collects 10% of profits even if turn down by the sharks just for getting the exposure on the show.